Tourmaline is the birthstone for October, along with the opal. Tourmaline comes in a staggering variety of colors. This stone has one of the widest color ranges of all gems! Some color varieties are so prominent and popular that they’ve gained their own trade names. These types of tourmalines include Rubellite: Tourmaline that is red, purplish red, brownish red, orange-red, or pink. Paraiba: An intense greenish blue, only found in the state of Paraiba, Brazil. Chrome: Intense green. Watermelon: Pink in the center and green around the outside. 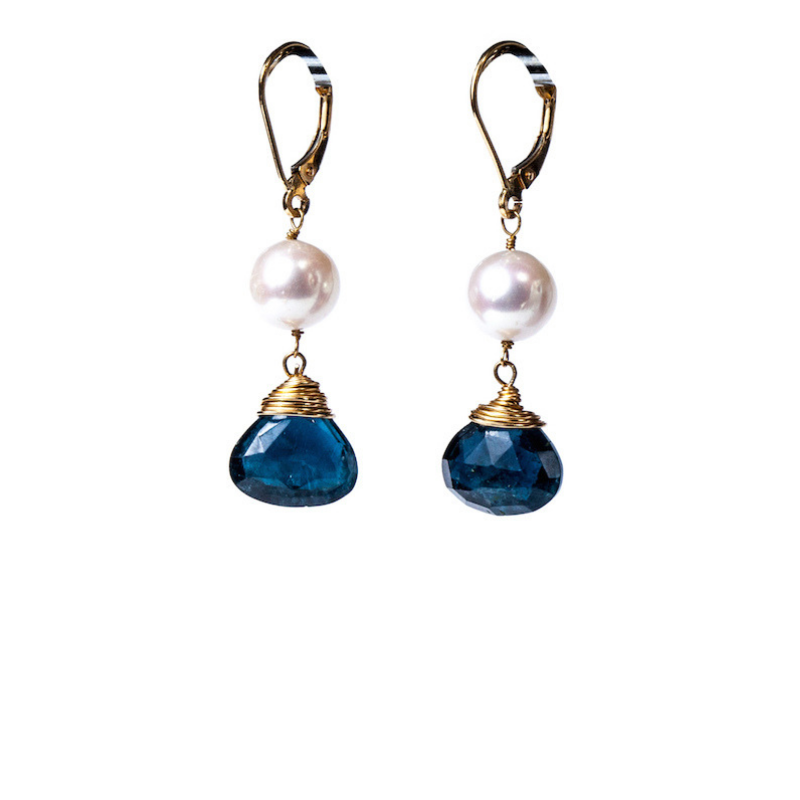 The stone was first discovered by Dutch traders off the West Coast of Italy in the late 1600’s or early 1700’s. At the time, these green tourmalines were assumed to be emeralds. It wasn’t until the 1800s when scientists realized that these stones were their own species of mineral. 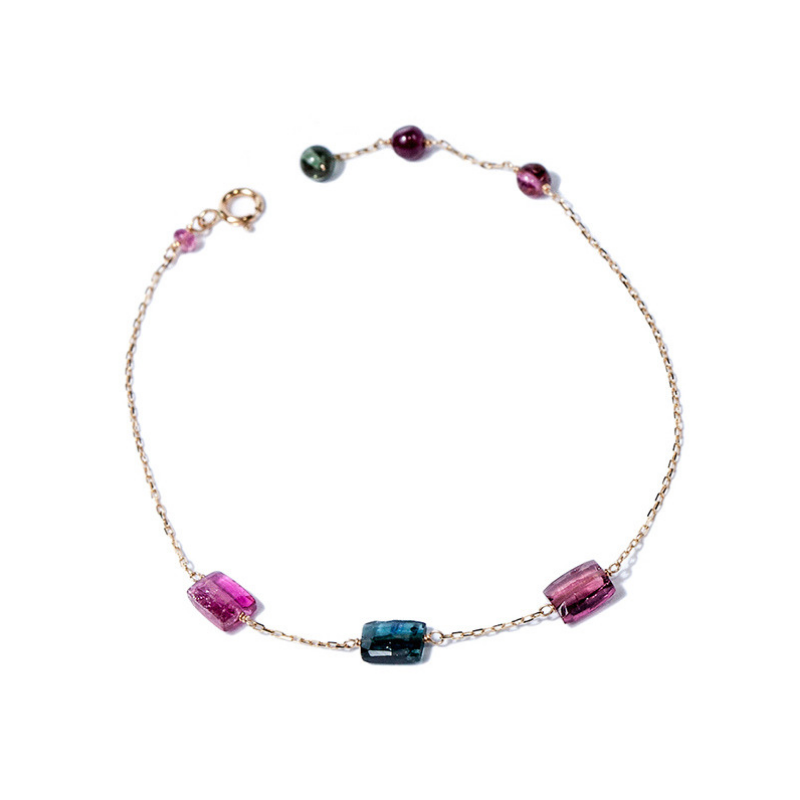 The name tourmaline comes from the Sinhalese term “turmali.” It’s a term Dutch merchants applied to the multicolored, water-worn pebbles that miners found in the gem gravels of Ceylon (now Sri Lanka). The name was given to all colored crystals on the island of Sri Lanka at that time. This all-inclusive name indicates the inability of ancient gem dealers to differentiate tourmaline from other stones. In fact, at one time in history, pink and red tourmalines were thought to be rubies. Pink tourmaline tends to be pinker in color than ruby. However, their similarities in appearance are so strong that the stones in the Russian crown jewels believed to be rubies for centuries are now thought to be tourmalines. The Russian crown of Anna Ivanovna. One of the first imperial style center headband and helmet split in two. It was created for the coronation of Tsarina Anna. 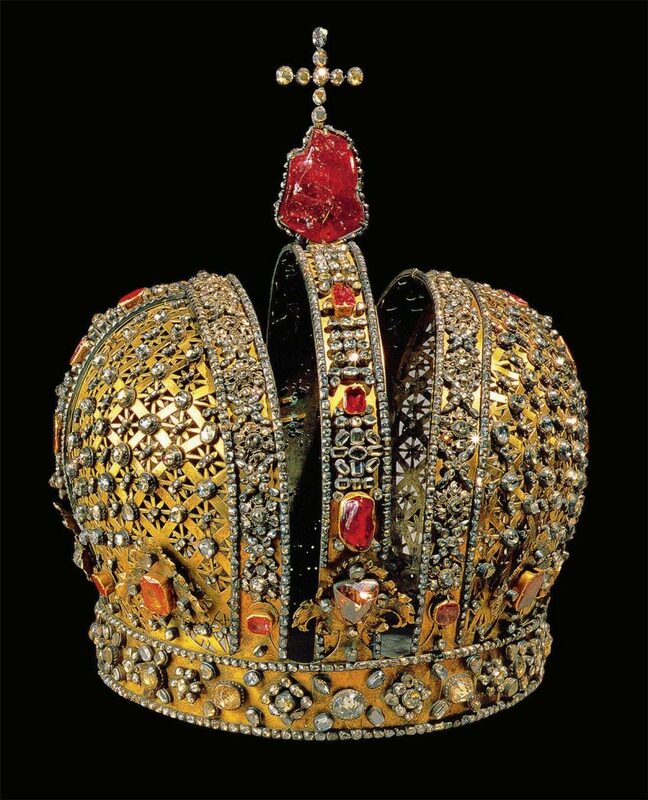 The crown is made from silver and adorned with 2,500 diamonds and a huge tourmaline on which the cross stands. It was used again in 1826 to the proclamation of Nicholas I as king of Poland. It’s easy to understand why people so easily confuse tourmaline with other gems: Very few gems match tourmaline’s dazzling range of colors. From rich reds to pastel pinks and peach colors, intense emerald greens to vivid yellows and deep blues, the breadth of this gem’s color range is unrivaled. Brazilian discoveries in the 1980s and 1990s heightened tourmaline’s appeal by bringing intense new hues to the marketplace. People have probably used tourmaline as a gem for centuries, but until the development of modern mineralogy, they identified it as some other stone (ruby, sapphire, emerald, and so forth) based on its coloring. One of the earliest reports of tourmaline in California was in 1892. In the late 1800s, tourmaline became known as an American gem through the efforts of Tiffany gemologist George F. Kunz. He wrote about the tourmaline deposits of Maine and California and praised the stones they produced. Apparently, in 1876, a young man walked into Tiffany’s (where the young George Kuntz was employed) and showed Charles Tiffany a beautiful green stone with strong pleochroism. As the story goes, Kuntz was smitten by this obscure gem and fell in love. It certainly true that Mr. Kuntz did much to actively promote the use of tourmaline in jewelry and as a collector’s object d’art. In spite of its American roots, tourmaline’s biggest market at the time was in China. Tourmaline was prized as a gem through history, but her main admirer was Tzu Hsi, the Dowager Empress who ruled China with an iron hand from 1860 until her death in 1908. The last Empress of the Ch’ing Dynasty was so passionate about this stone that she bought huge quantities of it, mostly of pink color from mines in California, discovered during her reign. The stone was used mainly in carvings, watch chain bars or jacket buttons worn by the Imperial Court and some wealthy personalities. The miners became so dependent on Chinese trade that when the Chinese government collapsed in 1912, the US tourmaline trade also collapsed. The Himalaya mine stopped producing large volumes of gemstones. Other mines in San Diego County still produce sporadic supplies of gem-quality tourmaline. 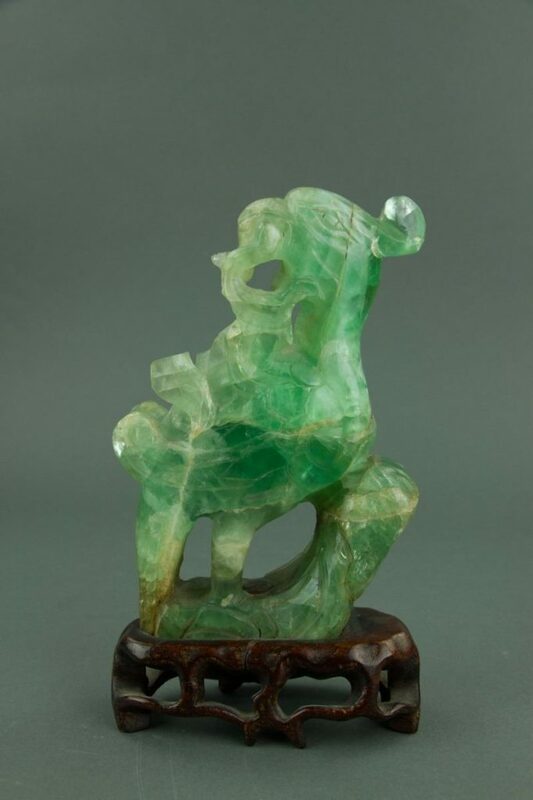 The Chinese have engraved and carved figures with tourmaline for many centuries, and ancient examples are still displayed in museums, a testament to the durability of the stone. You may recall seeing intricately carved Chinese snuff bottles made from pink tourmaline. The supply of tourmaline began to expand during the first half of the twentieth century when Brazil yielded some large deposits. Then, beginning in the 1950s, additional finds appeared in countries around the world. Madagascar and Afghanistan have produced fine red tourmaline. Since the late 1980s, the Paraíba area of Brazil has been known as a source of strikingly intense tourmaline colors, called Paraíba tourmalines. Now mining of tourmaline takes place all over the world. All colors of the tourmaline family can be found around the world. Active mines can be found in Africa, Afghanistan, Australia, Brazil, Burma, Canada, Elba, India, Kenya, Madagascar, Mozambique, Namibia, Nepal, Nigeria, Pakistan, Russia, Siberia, Sri Lanka, Switzerland, Tanzania, Thailand, and the USA. The ancient Egyptians had a legend about tourmaline gemstones. They believed that these stones got their amazing colors because they broke through a rainbow while pushing their way up through the earth. The Egyptians used tourmaline for both physical and emotional remedies. 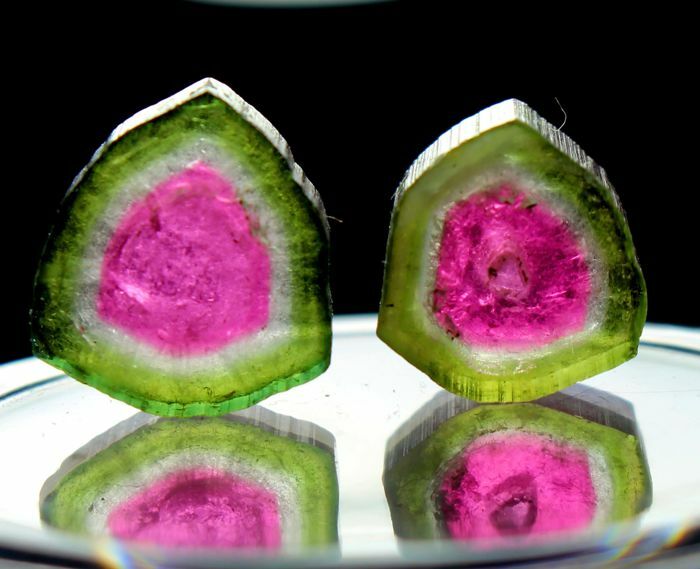 They firmly believed that tourmaline could heal the nervous system, blood diseases, and lymph glands. Far Eastern medicine used the healing powers of tourmaline to treat all illnesses. Tourmaline is still believed to have healing powers in modern alternative medicine. It is also used to promote artistic and creative expression. This very rare stone demands extremely high prices on the market today. Tourmalines are credited with the power to enhance one’s understanding, increase self-confidence and amplify one’s psychic energies, and aid in concentration and communication. Conversely, they are said to neutralize negative energies and dispel fear and grief. 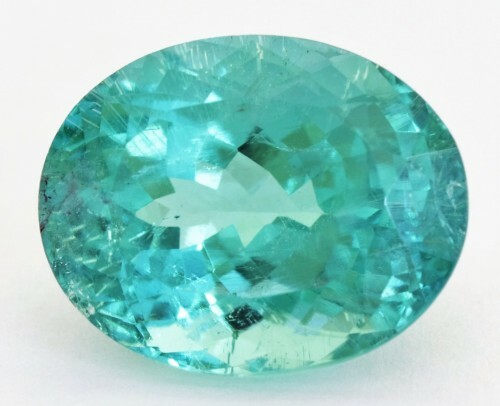 Tourmalines were also believed to be useful in relaxing the body and the mind, and to help in the treatment of many different diseases such as anxiety, blood poisoning, arthritis, and heart disease. Tourmaline also has many positive attributes in the spiritual realm. It is thought to bring healing powers to a shaman or medicine man. It is what is called a “receptive stone,” which means it is soothing, calming, inward, and magnetic, promoting meditation, spirituality, wisdom, and mysticism. It creates peace and promotes communication between the conscious and unconscious minds, allowing psychic awareness to blossom. The traditional Tourmaline Wedding Anniversary is the 8th and, it is the birthstone for October and corresponds to the astrological sign of the Libra. 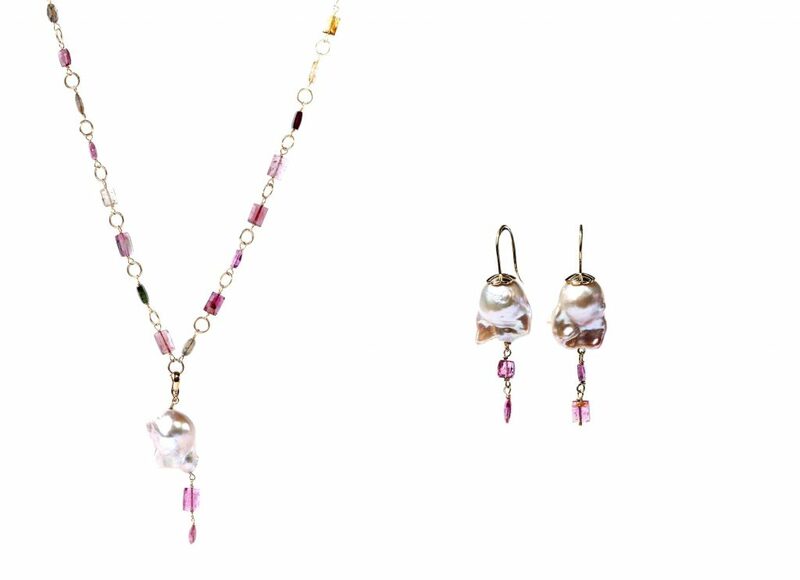 If you need some inspiration for the ultimate meaningful birthday gift, view our collections of designs featuring the tourmaline!